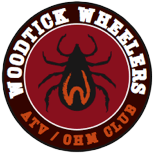 Woodtick Wheelers Named "Club Of The Year"
At its annual conference, the National Off-Highway Vehicle Conservation Council (NOHVCC) named the Woodtick Wheelers "Club Of The Year." 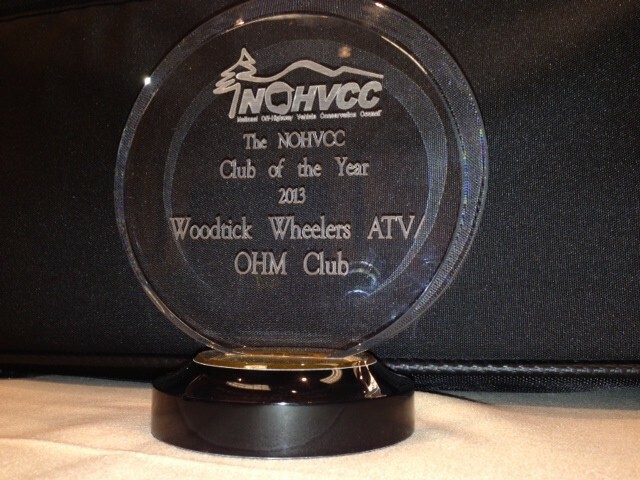 The club received the award for its work promoting safe and responsible OHV riding at the local, regional and national levels. It was totally unexpected and is a great honor. Members Dave Halsey and Jan Rintamaki received the award at the conference on behalf of the club's 360 members. Congratulations Woodticks!